In 2004 Kevin Roberts wrote Lovemarks: the future beyond brands. It was admired by many as a breakthrough in marketing thinking but was also controversial because of its surprisingly obvious thesis: that emotional connections are at the heart of sustained relationships between producers, retailers, and consumers. While many companies were using the language of war in their marketing (target, penetrate, ambush), Roberts was using the language of love (mystery, sensuality, intimacy). He explained in simple terms what people are often loath to admit: we make decisions with our emotions over our reason. Lovemarks described the journey by which brands could move from consumer respect based on intellect, to consumer love based on emotion—and in return gain "loyalty beyond reason." In 2010 Advertising Age magazine named Lovemarks one of their "ideas of the decade," while noting that the roadmap for brands to achieve Lovemark status was still not entirely clear. Loveworks: How the world's top marketers make emotional connections to win in the marketplace adds to the original Lovemarks by showcasing real-world business examples and outlining the roadmaps followed by several world-renowned brands to achieve Lovemark status: Procter & Gamble, Toyota, Visa, General Mills, Miller, T-Mobile, and Lenovo are just a few examples of businesses winning in the marketplace through the application of the Lovemarks theory, maintaining laser-like focus on making and sustaining emotional connections with consumers. Loveworks features 20 case stories from clients and markets worldwide in widely varying categories. "My book shows that Lovemarks thinking works—anywhere, anytime. All it takes is having the brains to implement it, the guts to see it through, and an abiding faith in emotion as your compass," says Brian Sheehan. Brian Sheehan is Associate Professor of Advertising at the S.I. Newhouse School of Public Communications, Syracuse University. Previously he was with global creative powerhouse Saatchi & Saatchi for 25 years, with CEO roles at Team One Advertising in Los Angeles and at Saatchi & Saatchi Australia and Japan. 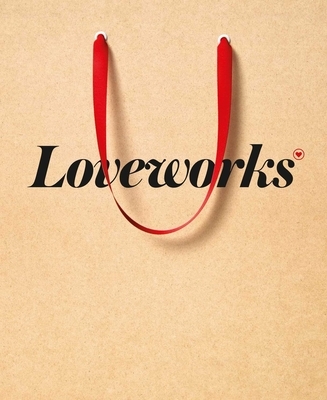 Loveworks follows Brian's books Basics: Online Marketing (2010) and Basics: Marketing Management (2011, both AVA, London). He has been published in Advertising Age, the Journal of Advertising Research, and in several peer-reviewed books and journals. In 2011 Brian was presented with the coveted Teaching Excellence Award by the Newhouse School's graduating class. "In Loveworks Brian Sheehan passionately illustrates the value in building a circle-of-trust with the consumer. In the 2010s, the fundamentals of marketing remain the same: "Love thy consumer!" Loveworks makes this abundantly clear and informative to any marketing director. There is page after page of proof that investing in a deep emotional connection with your loyalist is rewarded in driving your brand's objectives." -Gary Schwartz, author of "The Impulse Economy and Fast Shopper, Slow Store"
"In a world of data driven approaches to branding and marketing, it's refreshing to get back to the emotional connections that connect consumers with products and brands. Sheehan's book is a fabulous addendum to Kevin Roberts' work and a must read for anyone seeking to understand how companies can win in the marketplace through emotional rather than purely rational approaches"